Spring 2009 marked the 12th year of recording migration through the Eakring area. Overall, it was once again the usual mix of several scarce species and another Spring which disappointed in terms of visible migration totals. The season's two main events were good numbers of Wheatears during a short spell towards the end of April and some raptor passage, which included two Red Kites, two Hen Harrier and a Marsh Harrier. The first Wheatear of the Spring, were a pair at Eakring Flash on March 29th. 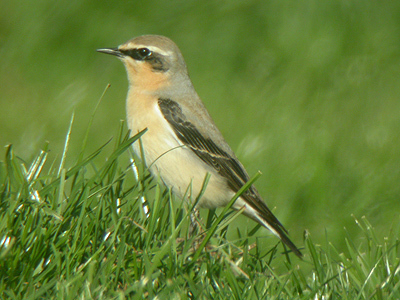 In April, Wheatears included a female at Tug Bridge Farm (5th) followed by males at Penny Pasture Common (9th) Eakring Flash (12th) and Tug Bridge Farm (25th) A good arrival of a site record eight birds occurred on 26th, with five (three females and two males) in fields at Park Farm and three (two males and a female) turned up in the large pasture at Tug Bridge Farm. Two different birds the next day, included another female at Park Farm and a long-staying male at Tug Bridge Farm, which remained for 11 days till May 7th. A female Stonechat was in rough vegetation along a ditch at Church Hill from March 5-6th, it's arrival seemingly coinciding with a small arrival of Stonechats along parts of the UK's south coast a few days previously. A male Redstart was in the Hawthorns at Penny Pasture Common on April 11th and was the 50th migrant Redstart to be recorded at Eakring since 1998, a record which seems quite remarkable in Nottinghamshire. It would have been nice to have been able to mention Osprey in this section, but despite much observational effort, there was yet another blank Spring for a species not seen here now since 2005. But two ringtail Hen Harrier (on March 28-29th and April 22-23rd) more than made up for this. It's hardly surprising that March and April have proved to be the best months for Hen Harrier at Eakring, as migrant Common Buzzard numbers also tend to peak during these months. Although there was not such a notable period of Common Buzzard passage this Spring when compared to other years, it did take place. With so many Common Buzzards around Nottinghamshire now, determining genuine migrants from wandering local birds is difficult, unless you know the habits of resident birds on a local patch. During March a maximum count of 13 birds, on the 15th almost certainly included some genuine migrants, as did a minimum of ten in the area on April 5th. Another migrant raptor which has been overlooked before, due to the difficulties of determining residents from migrants is Sparrowhawk and four migrant birds were recorded moving north during April. Clearly, Sparrowhawks have passed through Eakring each year and increased efforts will be made in the coming years to monitor them. 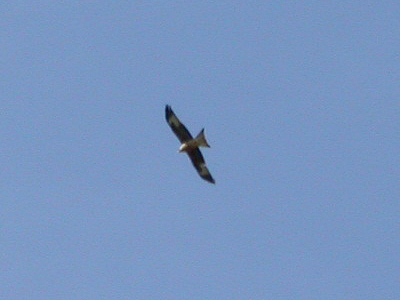 April also provided two Red Kites on consecutive days, each occasion involving a different bird. The first eventually drifted off north-east over Red Hill and Lound Wood (April 21st) amazingly followed the next morning by another bird (April 22nd) seen leaving it's overnight roost in Lound Wood early morning, before moving off north. The 22nd also went on to produce one of the earlier mentioned Hen Harriers, which was followed a short while later by a female Marsh Harrier low west over Eakring Flash and then seen later over Penny Pasture Common, before drifting off low south over Eakring Field Farm. Needless to say, that Red Kite, Hen Harrier and Marsh Harrier within a few hours, represented something of a record here.. There was the usual mix of arrival dates by the area's Summer visitors, but only Yellow Wagtail produced a new earliest date of April 1st. Hobby, Cuckoo and Garden Warbler all arrived later than ever before and all on May 9th, whilst Reed Warbler also arrived two days later than previously on May 22nd. The full list of arrival dates for Spring 2009 reads as follows - March 21st...Chiffchaff; .. March 29th...Wheatear; .. April 1st...Swallow, White Wagtail and Yellow Wagtail; .. April 2nd...Sand Martin; .. April 5th...Blackcap and Willow Warbler; .. April 11th...House Martin and Redstart; April 18th...Grasshopper Warbler and Sedge Warbler; .. April 20th...Whitethroat; .. April 21st...Lesser Whitethroat; .. April 23rd...Tree Pipit; .. April 27th...Turtle Dove; .. May 7th...Swift; .. May 9th...Hobby, Cuckoo and Garden Warbler; .. May 22nd...Reed Warbler and Spotted Flycatcher. It was another poor Spring for both daily and monthly visible migration totals, but this has become rather typical of each Spring since 2001-2003. Non of the totals produced below are anywhere near being exceptional. On the positive side, the first Cuckoo since 2007 turned up on May 7th briefly, but was never seen again. A Corn Bunting north over Eakring Flash on April 9th was a similarly welcome record, coming a year after the last one at Eakring, which in itself had ended a five year wait. Several factors made Autumn migration quite distinctive, although not always for the right reasons. Some of our commoner migrants failed to appear in numbers, but there were some surprising events, such as the first noticable Bullfinch passage that I have ever recorded and a few rarities, with Hen Harrier, Rock Pipit and and Ring Ouzel. On the downside, the number of migrant Yellow Wagtail and Goldcrest were well down on all other Autumn totals here and a similar drop in numbers was also noted at other UK viewpoints. This may have been as a direct result of a poor breeding season, which could also have been the primary factor in the complete lack of Goldcrests at Eakring this Autumn. Just one Goldcrest at Eakring Meadows NR in September, turned out to be the only 2009 record, apart from Eakring's very small, resident breeding population and it seems that something went definitely wrong this Summer, both here in the UK and across the North Sea in northern Europe. 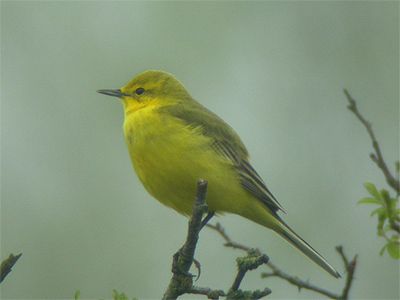 The drop in passage Yellow Wagtail numbers did come as something of a surprise, even considering that the number of passage birds have generally dropped here in both migration periods since 2002, with 2007 being the only exception in the last seven years. Spring passage was relatively normal by recent standards, but just ten Autumn records was dire, especially given the amount of on-site coverage. Surprisingly, the lack of Yellow Wagtails this Autumn, seems to have passed virtually unnoticed in birdwatching circles, as did the drop in Cuckoo numbers back in 2004. October and early November was notable for the most obvious movement of Bullfinches through the area, with an October total of 20 being partly made up of nine through on the 29th. 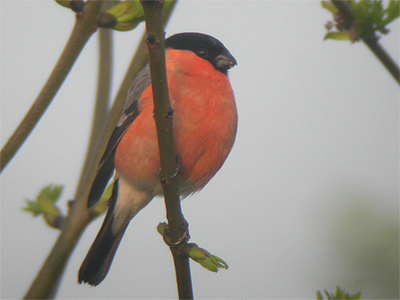 Bullfinch have never really been thought of as true migrants by many experienced visible migration observers and previous movements here, have always been previously attributed to localised feeding movements. Autumn 2009 though, saw single birds or small groups moving through high up and in similar fashion to other migrant finches. Clearly, there was obvious movement taking place and this was similarly noted at many other UK sites during October and early November. During both months, Bullfinches were unusually found to be present at most sites visited, this alone being a strong indication of immigration. As is so often the case, many species once again failed to produce any really notable daily or monthly totals, with the most regular migrants such as Swallow, House Martin and Meadow Pipit all failing to provide any real numbers. There were some exceptions to these poor totals, with a good Wood Pigeon movement of 5 439 south-west on November 5th, 2 032 Starling west on October 18th and a decent monthly total of Chaffinch moving through in October. After September's poor totals, visible migration picked up as October progressed, with a monthly total of nearly 6 000 Starling recorded over most visits made during the month. Best Starling counts were 205 west (10th) 937 west (17th) a peak of 2 032 west (18th) 515 west (22nd) 1 011 west (29th) and 544 west (31st) The first Wood Pigeon movement of the Autumn was 837 moving south-west on 29th, before 5 439 south-west on November 5th. October also saw another good period of Chaffinch movement, although not really competing with that of last year. Most Chaffinch movement was biased towards westerly, rather than the more traditional southerly movements recorded here for many years from 1998. The past two or three Autumns, have seen this westerly movement dominating increasingly, so much so, that about 75% of migrant Chaffinches here, have now moved west during this Autumn and that of 2008. The peak arrival dates for Winter Thrushes were missed through work commitments, as they occurred during the week. Of the counts made in October and November, 809 Fieldfare west on October 17th, would never be bettered, whilst the best Redwing counts this year included 112 west on October 10th, 276 south-west on October 11th and 198 west on October 17th. An influx of Blackbirds at most sites across the area, was evident from October 22nd. Rarities recorded this Autumn, came in the form of two 1st Winter Ring Ouzels near Kneesall on August 27th and a Wood Lark, south-east over Lound Wood on September 27th. October saw records of a Rock Pipit west over Eakring Flash (18th) and two Common Crossbill north-west on 31st.